You automatically establish a copyright in your original work when you put it in a tangible form. 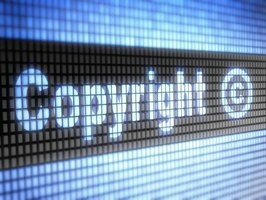 While formal registration with the United States Copyright Office is not required, it does give you important advantages in the event someone uses your work without your authorization. This entry was posted in Authors, Informative and tagged Authors, Informative. Bookmark the permalink. I would really have no idea if someone was stealing my cartoons and unless I am slandered or libeled or if they make huge amount of money off them there is really nothing I can do despite copyright. Now that’s a good idea. I have to learn how to do that. Thanks.